A video summarizing the benefits of the program to prospective innovators. A video summarizing the selection process and why innovators sought out CRI. 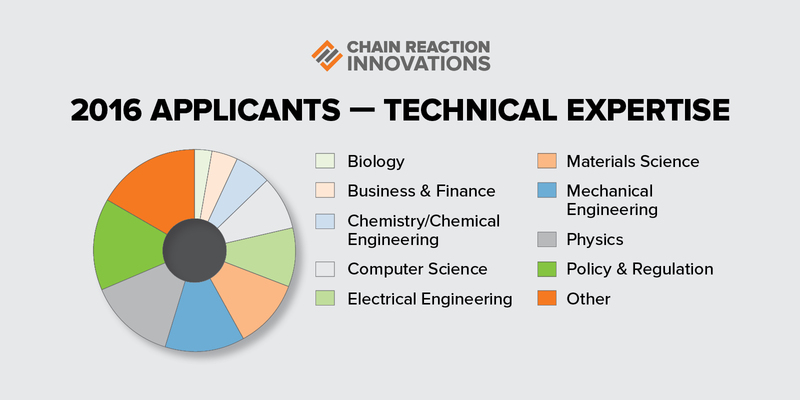 A summary of the first cohort members and their technologies. 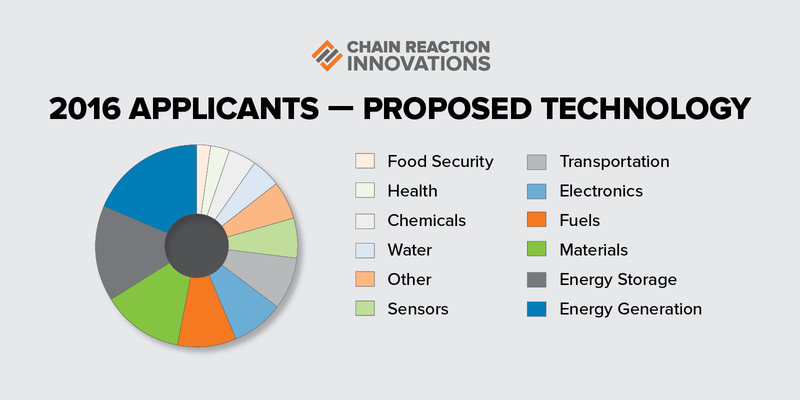 How innovators benefit technologically and financially from the CRI program. Polsky Center at the University of Chicago and Purdue Foundry and Purdue University have partnered with CRI to help mentor innovators. 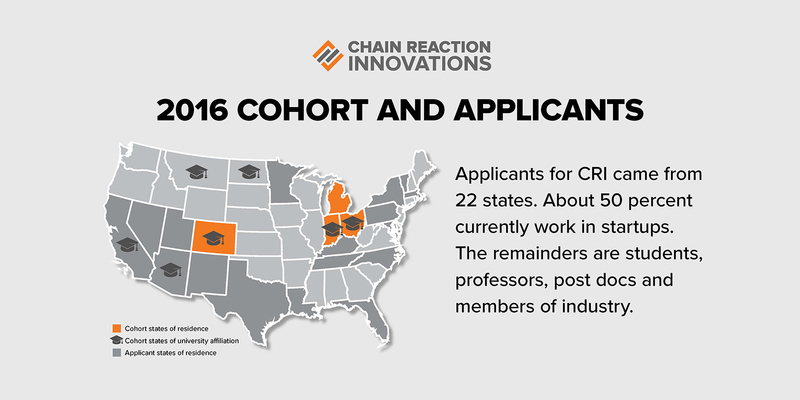 How CRI bridges the innovation “Valley of Death” and demographics of the first cohort. A summary of Atlas Energy System’s technology for a novel radioisotope battery. A summary of Emergy’s technology for novel carbon material that can improve the efficiency of carbon-based manufacturing processes. A summary of ClearFlame Engine’s technology to build a drop-in replacement for diesel engines that enables the use of alternative fuels without sacrificing power. A summary of Advance Ionic’s technology to create more durable membrane-less systems for operation in extreme conditions. A summary of FGC Plasma Solutions’ technology that creates a better fuel injector for jet engines and gas turbines. How nuclear batteries can be applied to improve patient quality of life.